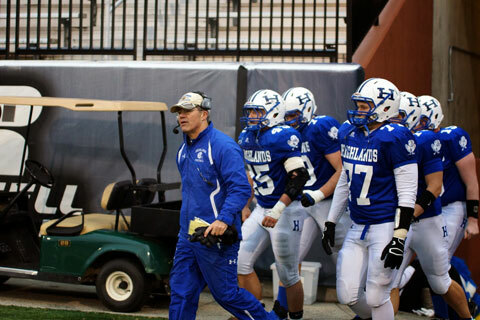 Dale Mueller stepped down as Highlands' head football coach this afternoon. Mueller was the head coach for 20 years and compiled a record of 250 wins and 36 losses. He led the Bluebirds to a record 11 State Championships and 6 of those were in consecutive seasons. Highlands was going for their 7th straight this year but was upset by Collins on Saturday 37-34. A replacement has not been named yet. Reports indicate Mueller will remain the AD at Highlands and teach for one more year.